Care Proceedings – Children should have their say! 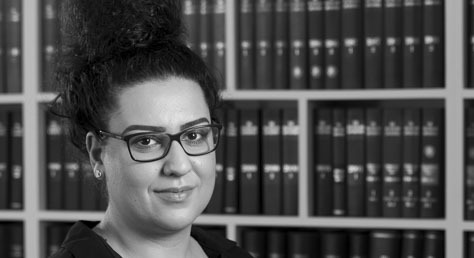 Family caseworker, Sophia Poliviou, reports on this interesting case which affirms the important principal that children have the right to be separately represented in proceedings where appropriate. This case concerned an appeal from a decision refusing a young girl separate representation in public law proceedings that was allowed. This case highlights that practitioners and the courts have to treat the issue of separate representation as part of the growing recognition of children’s autonomy, and that their welfare interests may lie precisely in the competent child being able to play a direct part in proceedings. The 16 year old girl has been the subject of care proceedings during which she had been separately represented. Her position was that she did not accept the judge’s findings and wished to return home. A care order was made in 2015. She absconded on a number of occasions from her foster home and then lived at her grandmother’s home. When the parents moved in to live with the grandmother the Local Authority applied for a recovery order pursuant to Section 50 of the Children Act 1989 to return the girl to foster care. The girl, as a litigant in person, attempted to discharge the care orders made in respect of herself and her brother. In the recovery order proceedings the issue arose of whether the girl was competent to instruct her own solicitor. A child and adolescent psychiatrist was appointment to conduct a report but the girl failed to attend her appointment. The judge refused to grant her separate representation and found that she had not demonstrated that she was not being influenced by her parents to conduct litigation and that she did not understand the risks and had insufficient understanding of the issues. A recovery order was subsequently made. At a later date the judge dismissed the discharge application. The girl did not attend since she lacked separate representation and her interests were represented by the guardian. The girl appealed the decision in relation to separate representation. The test for establishing whether a child should instruct his or her own solicitor was set out in FPR 16.29(2). If the guardian’s solicitor considered that a child wished to give instructions other than those given by the guardian then the child was able (depending on his or her understanding) to give such instructions and the solicitor must follow them. In this case, it was clear that the girl wished to give instructions differing from the guardian and therefore, it fell to be determined whether she was able to give them. The Court noted the importance of the child’s autonomy and that it might be in the child’s interests to have some direct involvement in the litigation. The appeal was allowed. It was held that the judge in the lower court had confused the child’s welfare with her understanding when applying the test in FPR 16.29(2). Further, the judge had given too little weight to the girl’s age, her history of instructing her own solicitor and the views of that solicitor. It was also held that too much weight was given to the concerns of parental influence. If you have a children case you need help with. Or require any advice on family cases, please contact the family team on 020 8885 7936 or family@wilsonllp.co.uk.